All Residence Halls will open Sunday, January 13 at 10AM. University Housing staff eagerly anticipates your arrival, and want to ensure an efficient and timely Move-In Day. Our staff will be available from 10AM until 10PM on Sunday, January 13 to check students in. Please check in at the residence hall in which you were assigned. Arriving later in the morning or afternoon will be less congested. Please keep in mind that parking may not be readily available around the halls. Please make sure to have your Pitt State Gorilla Card (student ID card) or student ID number available when checking in. Upon check-in, residents will meet their resident assistant. The RA will explain their keys as well as review the Room Inventory Card and provide an overview of campus via a welcome packet. 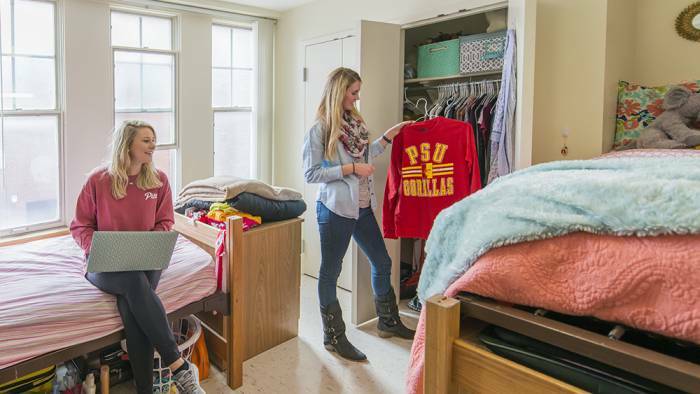 University Housing provides residents with a bed, mattress, desk, chair, chest and wardrobe. All beds are extra long (36”x80”). All furniture provided must remain in the rooms during the year. University Housing does not provide storage for any room furnishings or personal items from residents. Furniture cannot be brought into the halls unless it has heavy felt protection on the base. Please review the Guide to Hall Living available online and handed upon check-in. Parking around the halls is limited and located around and behind the buildings. Orange parking permits are required to park in the residence hall lots. Students with an Orange parking permit may also park in Brown lots. 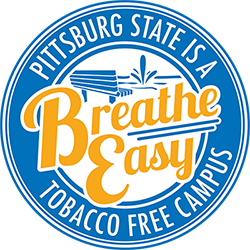 Students can go online to obtain their permit. Each residence hall is equipped with washers and dryers that operate on Banana Bucks, which are loaded onto your Gorilla Card. The washing machines can only use liquid laundry cleaning products. All residence halls have air conditioning deriving from a centralized system serving the entire campus. Air conditioning is seasonal. Please note upon completion of the contract, the student agrees to abide by all University and University Housing rules, regulations, policies, including those contained in the Guide to Hall Living. These rules, regulations, and policies, along with any reasonable alterations, communicated to residents, will be considered a part of this contract with the same force and effect as though written herein. There may be special rules and regulations that apply to certain halls as well. Please pay close attention to special building policies. All building policies are subject to change.